The European initiative known as the Night of Museums took place in Bulgaria this year on May 18th. Indology students from Sofia University were invited to participate in the happening organized at the National Gallery of Foreign Art. 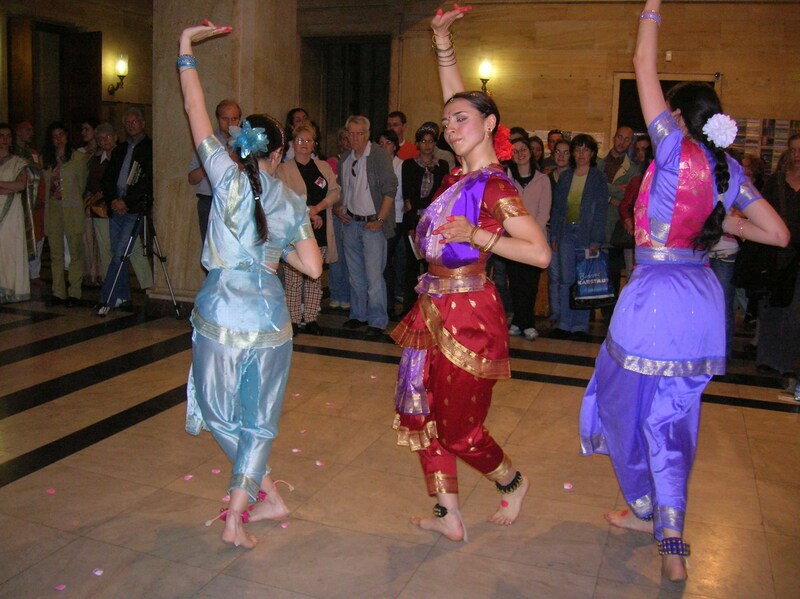 They responded full heartedly, prepared a leaflet to guide the visitors through the Indian collection of the Gallery, dressed in traditional Indian garments served Indian style tea and performed a dance based on motives from Indian mythology. Members of the „Deepawali” dance group also joined and showed authentic Bharatanatyam to the highly impressed audience gathered there.